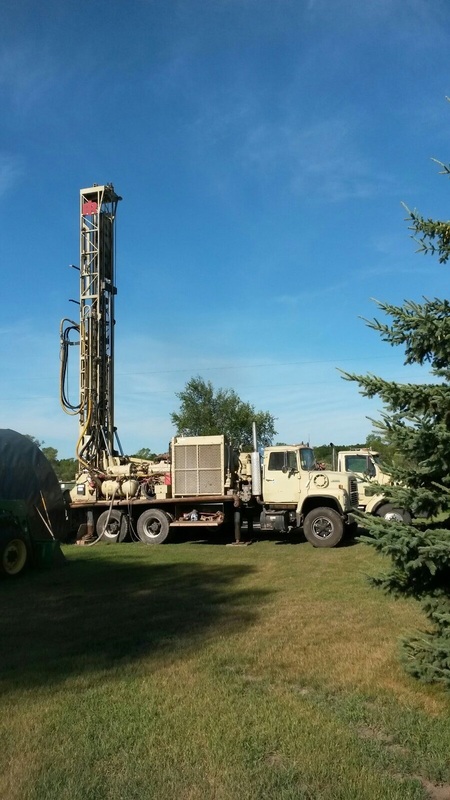 We Understand your drilling problems and equipment needs. Member of Optimist International a service organization known as "Friend of Youth"
Complete list of repairs and improvements: Factory rebuilt in 2003 w/new paint--New radiator on deck engine 2017--Rebuilt feed cylinder 2016--Winch rebuilt 2016--New swivel 2013--New rotation motors 2007--Table rebuilt w/bronze grease fittings--All engine checkups and repairs done by Cummins--New heads on deck engine 2009--Mud pump recently rebuilt--Webasto diesel fired pre-heater w/timer--New air and mud hoses--All cables in good condition--New walking beam bushing in truck 2014--Good tires--Kept indoors 1988 Ford L-9000 tandem axle chassis p/b Cummins LTA-10 and 8 speed Eaton transmission: 91,291 miles on odometer. 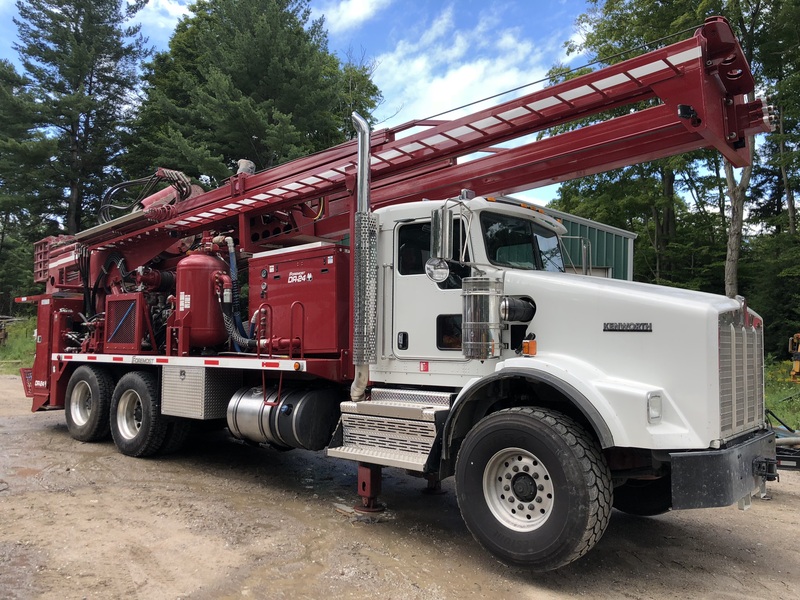 1219-4 Versadrill V-100 2013 3500 Total Hours $450,000. 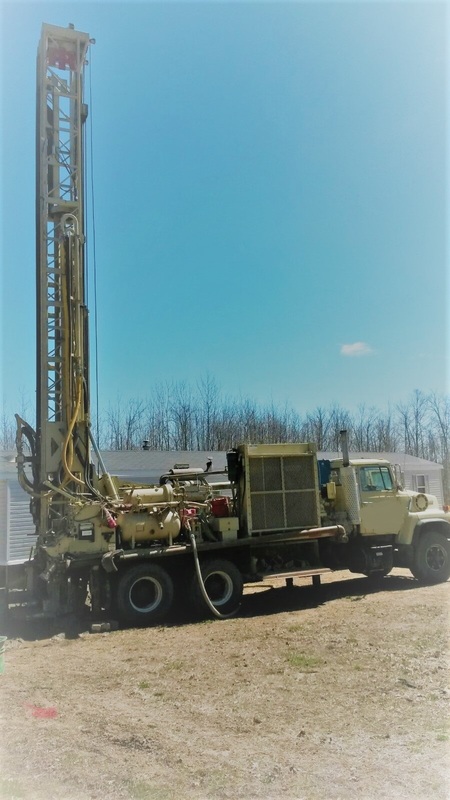 (2) hydraulic driven 5 x 6 American duplex piston mud pumps--500/200 IR screw air compressor p/b hydraulic motor--(2) speed tophead w/2 1/2" bore-- High torque 0-160 rpm @ 4,400 ft lbs, Low torque o-220 rpm @ 3200 ft. lbs34' x 55,000 lb capacity 10" x 16" tubular mast-- Hydraulic driven 3" gear track and 4 pinion gears w/40,000 lb pullback--Hydraulic rotating (15) pod 3" x 20' carousel--18,000 lb main winch--4,000 lb auxiliary winch--Jim boom--(4) 36" hydraulic leveling jacks--jib boom--Auxiliary hydraulics w/ quick disconect hoses (24 gpm/2500). 3500 total hours. 2013 Peterbilt model 348 6 x 6 chassis p/b 330 hp PACCAR engine and Fuller 10 speed transmission GVWR: 54,600 lbs. AM/FM radio and Air conditioning. 706-14 WALKER-NEER 150-25 1980 BEAT THIS PRICE $145,000!